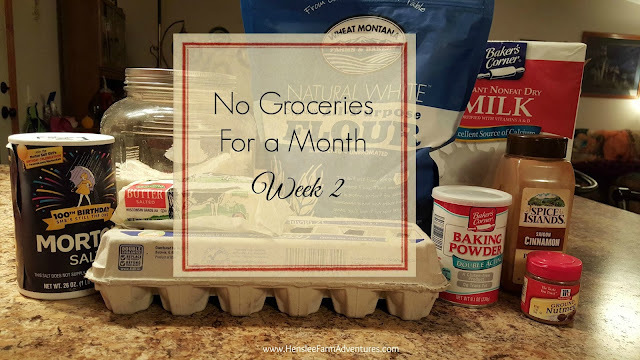 We have just finished week 2 of no groceries and I can tell you that it is getting harder. I can also tell you that life is getting busier as you can probably tell since this post is late. The good news is we did NOT buy any groceries this week. The bad news is that we did eat out a couple of times. The reason we got take-out is because this weekend we were working hard on putting siding on our house. Since it was just Steve and I putting on the siding, I wasn't able to take the time off to make meals. Plus by the time we called it a day from putting up siding, we were both exhausted! What bothers me about the meals we bought, was the money we spent. We could have used the money spent to purchase enough groceries for at least 1 week probably longer. :-/ What I should have done was plan ahead and had something in the crock pot, or fixed a meal ahead that would have been easy to reheat. However the way last week went, that just didn't happen. My lack of planning was the real issue this weekend. I now realize that I need to plan ahead. I have always been horrible at meal planning. Even if I do plan ahead, I don't stick with it. As for meals this week, it has been interesting to say the least. This week was probably one of the most stressful weeks I have had in a long time. Not due to the no groceries, but to other things that were going on. As you can see we had some issues this week with the meals. 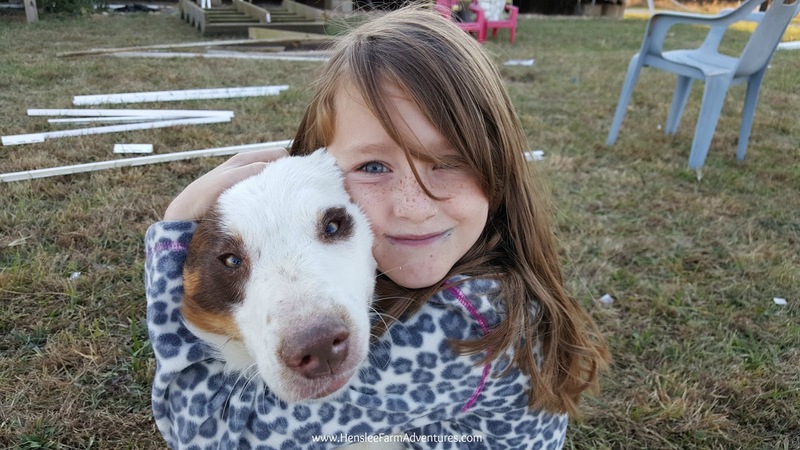 On Monday, the kids ate at my sister's house. Actually I had a couple of bites (alright more than a couple!) of her chicken and dumplings. They were delish! I definitely need to get her recipe. Tuesday I honestly cannot remember what we had. Wednesday I took one of my freezer chicken meals and put it in the crock pot. It did not turn out well. This is the second time I have fixed it and the second time that it was horrible. I will not be making brown sugar chicken again! I ended up shredding the chicken and used some tortilla shells we had to make chicken tacos. 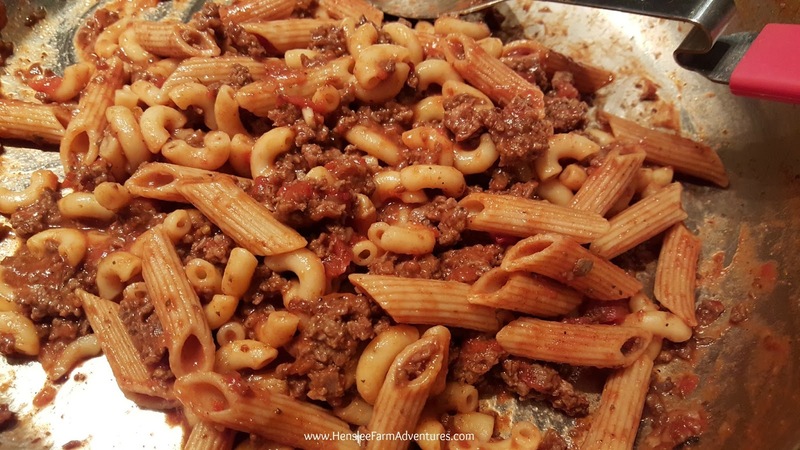 Thursday I made my family's recipe for goulash. The kids had been asking for this one. They love it! I will be sharing that recipe with you very soon. And Friday it was breakfast for supper. Really it was my favorite meal. I love breakfast! 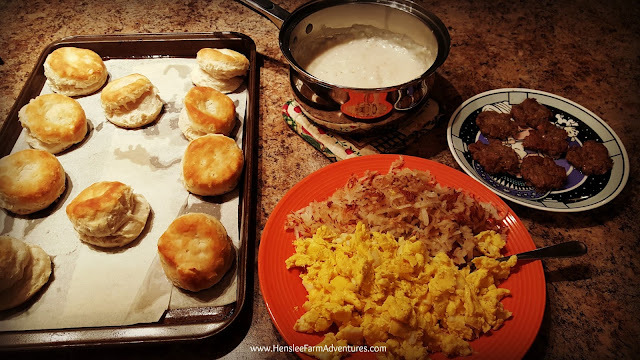 Our yummy breakfast for supper! My goals for this week are meal planning and making some meals ahead so that they will be easy to heat up. Even though we do not have activities this week we do have siding to finish installing so long as the weather cooperates. Hopefully this week will be a little easier and I can do more cooking! So for those of you doing this challenge, how did you do? Let me know in the comments below.